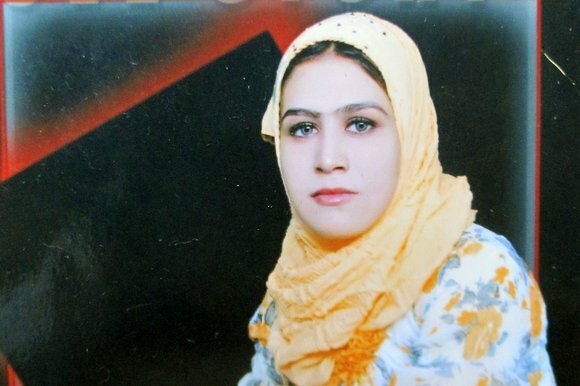 HANA KARIM’s father found out that his eldest daughter worked as a prostitute only when he saw a photograph of her body flash up on a television screen in Baghdad’s main morgue. Reeling from the shock, the old man was led downstairs to identify Hana. His daughter’s body, dressed in pyjama bottoms and a skimpy vest, was caked in blood. She had been shot twice in the head from close range, as had the other 27 prostitutes who lay dead alongside her in the city’s morgue. “When the doctors told me why she was killed, that she was sleeping with men, I couldn’t believe them,” said Majid, a grey-haired 53-year- old former construction worker with a wrinkled face. Majid said he at first believed that a Sunni militia had killed his daughter, who came from a poor Shi’ite family in the country’s south. But Majid was wrong about his daughter’s killers. Last week, The Sunday Times spoke to one of them — a member of a Shi’ite death squad attached to one of the most brutal militias operating in Iraq. In recent months, as Sunni extremists from Isis, (also known as Islamic State), seized Mosul, Iraq’s second-largest city, and marched on Baghdad, Iraq’s American-trained army crumbled. Thousands of Shi’ite militiamen, heeding calls from senior clerics, were sent to the front to plug the gaps and stall the Isis advance. Yet, these Iranian-backed Shi’ite militias now defending Baghdad are no less barbaric than the Islamic zealots of Isis, whose desire to impose a Sunni Islamist caliphate in Iraq and Syria they are trying so desperately to thwart. Dressed in black shoes, black trousers and a black cap, Abu Abdullah’s bulging eyes hardly blinked as he recounted how his squad raided the brothel where Hana and 27 women worked as prostitutes in the upmarket Baghdad neighbourhood of Zayouna. One month before the murders, Abu Abdullah’s men posted a letter and a bullet through the door of the brothel. When the prostitutes failed to heed the warning, Abu Abdullah received orders to mobilise his hit squad. The team of 15 assassins slipped through a hole in the corrugated iron fence and into the apartment block’s garden. Neighbours, who had initially asked the militia to chase the prostitutes from the area, watched from their balconies as the militiamen broke down the front door and rounded up the women. Some they shot in their beds, alongside male customers. Others they forced onto their knees before shooting them in the heads with silenced pistols, deaf to their cries for mercy. “Many screamed at us and told us that they would stop their work. We said we have no choice but to finish you now. They didn’t listen to us before. We told them to be quiet and then we shot them,” Abu Abdullah said. A gaggle of terrified women who had escaped the initial slaughter cowered together in the bathroom. Gunmen walked in and shot them in the head one by one, splattering flecks of blood on the white tiles. The killers found one woman in a cupboard. They dragged her out and shot her in the head. Within half an hour, 28 women and five men lay dead. Some of the victims lay slumped together in the main living room, their arms and legs entwined. In the moments before their death, one of the men had tried to shield one of the women from the gunfire. His arms were still locked around her. In the bathroom, curled up among the others, was Karim’s 21-year-old daughter. Hana had always wanted to move to Baghdad to escape the strict conservatism of her home town. “In Baghdad she never had to wear the abaya [the black gown that covers a woman’s body and head]. “She could wear fancy clothes instead. She always sounded like she was happy when we spoke to her on the phone,” said Karim, who lost one of his sons, a doctor, in a suicide bombing in Baghdad three years ago. Having finished school with good grades, Hana’s opportunity to leave her home town of Nasiriyah came when she won a scholarship to study veterinary medicine at Baghdad University. But, at some stage during her three years at university, Hana’s fortunes changed. Her father does not know why she became a prostitute. Abu Abdullah and his men are not only responsible for erasing “unIslamic behaviour” from the streets of Baghdad. Shi’ite militia leaders also use the death squads to hunt down and kill anyone suspected of sympathising with Isis. On Thursday, Abu Abdullah left Baghdad for Amerli, a town of 15,000 that Isis militants have besieged for more than two months. UN officials have warned of an impending massacre of the town’s Shi’ite Turkmen population, which Isis considers to be heretical and so worthy of elimination. The militia Abu Abdullah works for received a tip that two Sunni Turkmen families on the outskirts of the town were helping Isis — one had even given one of their daughters to an Isis commander, Abu Abdullah was told. On Friday morning, Abu Abdullah’s assassins stormed the two Sunni homes. They rounded up the men, five in total, forced them to kneel on the floor and shot them with pistols. Many blame extrajudicial killings like these for driving Iraqi Sunnis into the arms of Isis. Hardline Shi’ite Islamists such as Abu Abdullah say the killings his group carries out are justified because “most Sunnis” support Isis. Some Iraqi politicians have insisted that if Shi’ite militias continue to operate with impunity then Isis will continue to find easy recruits among Iraq’s Sunni minority.